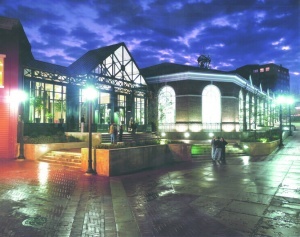 The Main Street Arena, named initially the Charlottesville Ice Park and built in 1996 is an ice rink and multi-use facility that anchored the west end of Charlottesville's Downtown Mall. 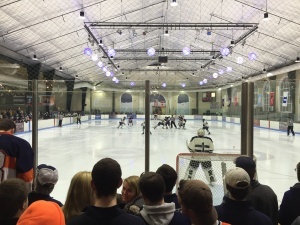 This sports and entertainment facility has been operated as a multi-use skating, indoor sports, and special events venue called the Main Street Arena since September 2010. Owners Bruce Williamson and Roberta Williamson, ex-husband and wife, with two other partners, purchased the Ice Park in 2003 from Dorothy Batten and Colin Rolph, who co-developed the project with then partner Lee Danielson. In February 2010 Bruce Williamson announced plans to close the park in June, citing unexpected business losses. They closed the park on June 30, 2010. However, soon after, the real estate and tangible and intangible assets of the Ice Park were purchased by Mark Brown and a small group of local investors for $3 million. A private party was held on August 20, and skating resumed on September 14. Brown immediately announced plans to convert the building into a multi-use facility called the Main Street Arena that could also house indoor athletic events and private and public events needing 15,000+ sf. This was made possible by the purchase of an insulated flooring system which covered the 185’ x 84’ ice surface. 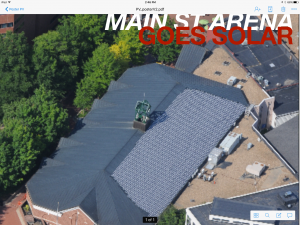 An additional sport court surface could also be installed on top of the insulated system if needed. It took 14 men four hours to lay down the tiling system. Men from the nearby Haven were often employed for this task. The adjoining lobby space was converted into a popular sports bar. The Main Street Arena Annex fronting Water Street was originally designed to be a public viewing area to watch ice events while eating in a warmer environment but over time became used for other businesses. The last was a popular music club called the Ante Room. ↑ Graff, Henry. 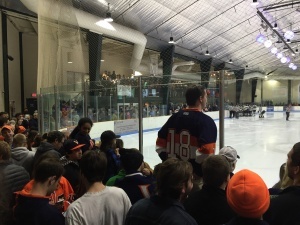 "Charlottesville Ice Park Sold - NBC29." NBC29 - Home. 16 July 2010. Web. 26 Aug. 2010. <http://www.nbc29.com/Global/story.asp?S=12818992>. ↑ Web. 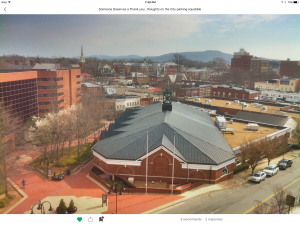 BAR approves demolition of Main Street Arena, Escafe sites for innovation hub, Sean Tubbs, News Article, Charlottesville Tomorrow, April 18, 2017, retrieved May 9, 2017. ↑ Web. Main Street Arena Holds Final Farewell Party, Meghan Moriarity, News Article, WVIR NBC29, March 30, 2018, retrieved April 9, 2018. ↑ Web. Brawl on the mall, John Borgmeyer, C-VILLE Weekly, Portico Publications, June 7, 2003, retrieved May 13, 2018. Print. June 7, 2003 . ↑ Web. NEWS- Frozen assets: Ice Park changes hands, COURTENEY STUART, The Hook, Better Publications LLC, May 15, 2003, retrieved 1 Mar 2010. ↑ Web. Thin ice: Citing losses, owners to close skating rink, Hawes Spencer, The Hook, Better Publications LLC, Feb 27, 2010, retrieved 1 Mar 2010. This page was last edited on 25 January 2019, at 18:53.